Coffee Break al la Francia! 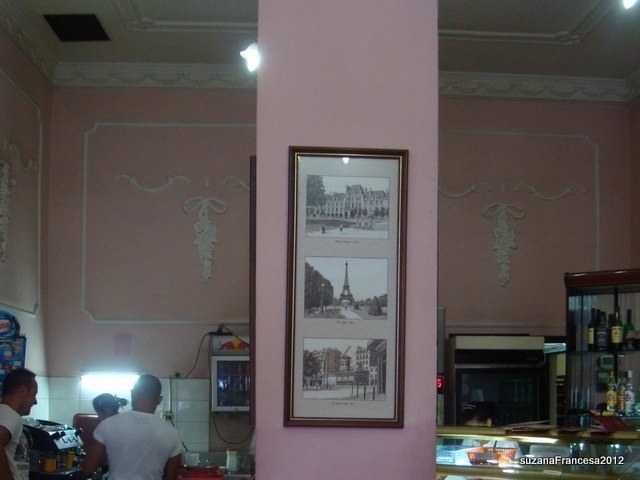 Its not VERY French but “Café Francesa” is the closest most Cubans have ever been to Paris! It’s a popular spot in a busy area and attracts an interesting mixture of clients!! Photos of the Eiffel Tower and other famous views of Paris in black and white are on display inside which is decorated in delicate shades of pink! ! 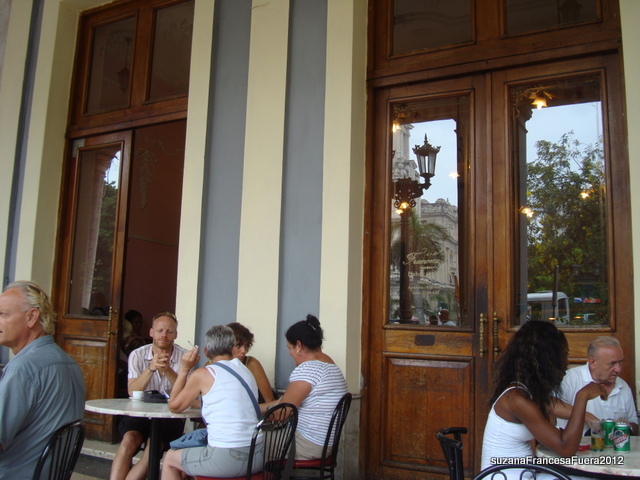 On the covered terrace facing onto Parque Central, there are about ten tables and chairs and inside another five. The menu is not extensive, but you can buy basic sandwiches, and a good range of cakes, pastries, and bread to eat in or take away The coffee is normally good and the usual soft drinks, beers and spirits are available too. 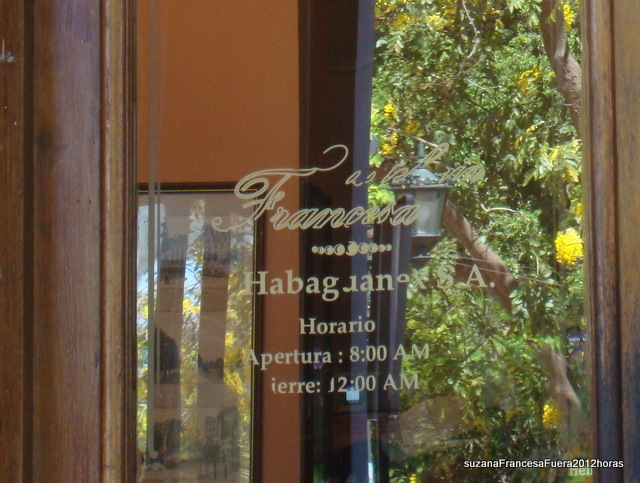 Francia is located between Hotel Telegrafo and Hotel Inglaterra on Parque Central and is a very popular spot day and night where you can while away some time watching the world go by. 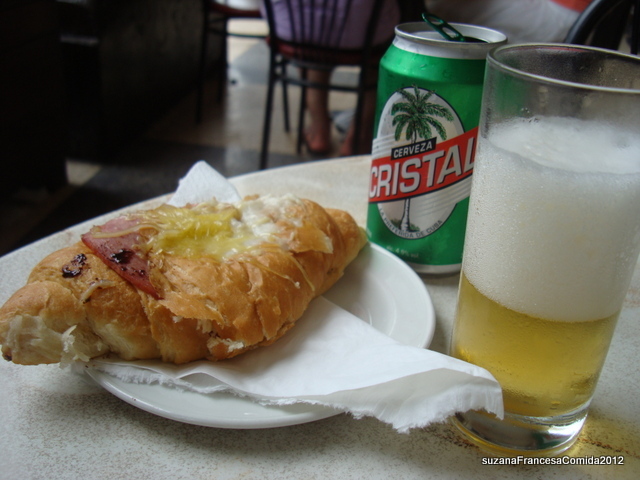 The opening hours are 8am till midnight and due to its central location in the Hotel zone of old Havana where all tourist pass through, the colourful ladies and independent businessmen it attracts for commercial opportunities and meetings is apparent! You won’t hear any French music, but the outdoor group playing daily at Hotel Iglaterra always provides a nice background of Cuban popular tunes. Want to see for your self? Join us on tour in October!